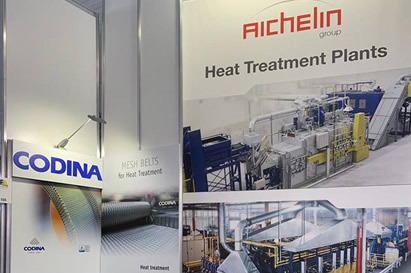 Codina at the Fastener Fair Stuttgart 2019, to be held for the eighth time from March 19 to 21, 2019. Codina will participate as an exhibitor for another year at the main trade fair in the world within the fastening systems industry. The Fastener Fair Stuttgart represents from its beginnings an important meeting point of global scope in which manufacturers, wholesalers, distributors and suppliers of technology in fastening systems meet. The Fastener Fair Stuttgart is a fair in which a wide range of exhibiting companies will present their latest products and developments in technology within all areas related to fasteners and fastening systems. 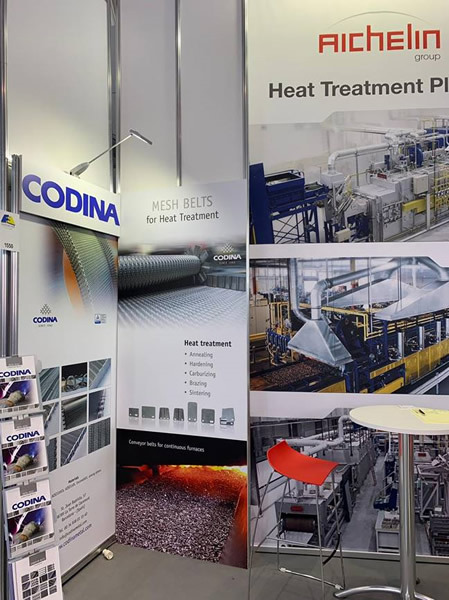 Codina will be present at the fair presenting all its novelties in conveyor belts for heat treatment. The Fastener Fair Stuttgart, in its 2019 edition will be a very relevant event considering the continued growth that the global economy is experiencing, especially the expansion of markets such as construction, aerospace, automotive or household appliances. This has caused the global demand for fastening systems to increase continuously driven by the strong global economy and constant growth. The Fastener Fair Stuttgart 2019, in its 8th edition, will be held on March 19 to 21, 2019 at the Trade Fair Center, Stuttgart.